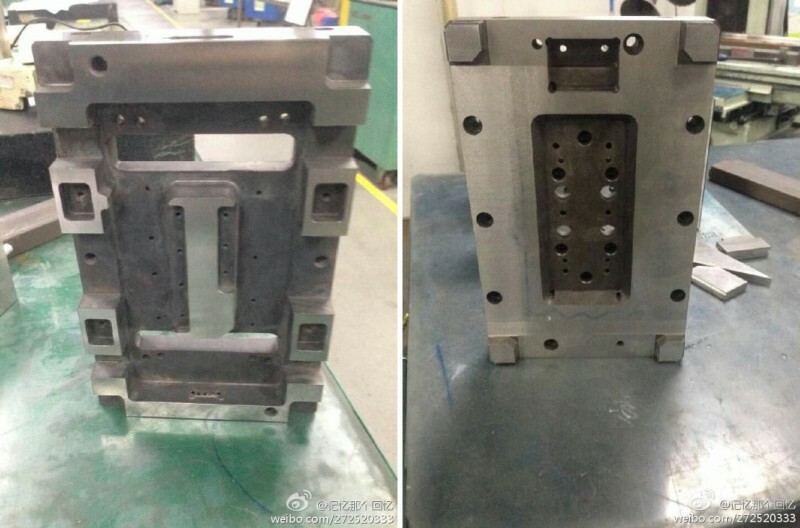 Images of both the chassis for Apple’s iPhone 6 along with a handful of manufacturing molds have surfaced online, and reportedly originate from inside of a Foxconn plant. The pictures come following a series of further iPhone 6 reports and images, many of which have appeared over the last couple of months. 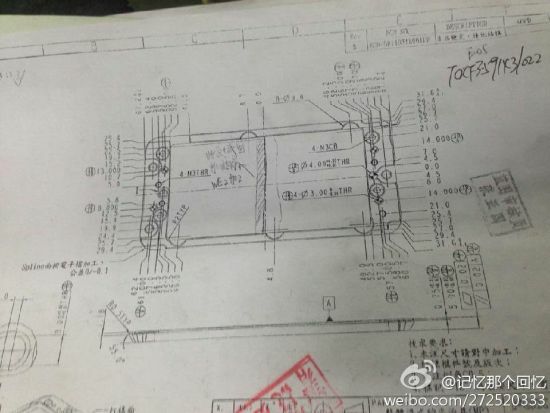 The new images first surfaced on the Chinese microblogging website Weibo (via MacRumors), and we’ve included the full set above and below. Though little is given away, the chassis for the handset looks as if it’s designed to accommodate a larger model – this indeed fits in with reports we’ve heard previously, all of which argue that Apple is increasing the size of its iPhone with the upcoming iPhone 6. Most recently, images of an iPhone 6 “case” surfaced online, and these also indicated that the next-generation handset should be larger than its predecessors. Curiously, the images of the case also signalled that the power button has been relocated on Apple’s iPhone 6 handset, too. 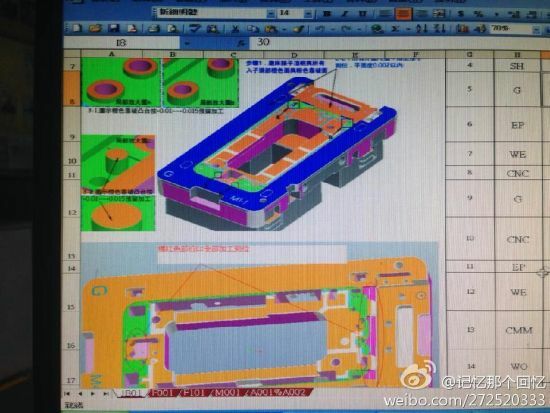 Before this, three images showing off the anticipated smartphone appeared towards the end of March. Apple is expected to launch its next-generation iPhone handset in September or October, and the smartphone should also feature a sapphire-coated display and a faster processor, alongside the same eight megapixel rear-facing camera and Touch ID-equipped Home button. We’ll keep you updated with further information as we receive it. In the meantime, see: Cydia Tweak: Activator Beta Adds Custom Battery Level Triggers, Todays Apps Gone Free: Printer Pro, Lochfoot, LifeCharge And More, and The AppAdvice Week In Review: Rethinking Apple’s iTunes.